Paterson Mayor Jose "Joey" Torres has pleaded guilty to conspiracy charges in a corruption case sparked by an I-Team investigation in 2016. 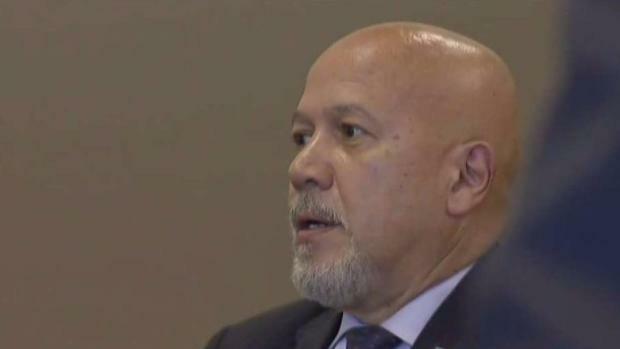 Torres will spend up to five years behind bars, resign as mayor and pay restitution to the city of Paterson as part of a plea deal with prosecutors over the scheme to steal from taxpayers by ordering city workers to do construction on a relative's would-be beer business. As part of the plea deal -- which was accepted hours after Paterson Department of Public Works employees caught on camera doing work for Torres' family also accepted plea deals and agreed to cooperate with prosecutors -- Torres also agreed to never again seek a public office. After the hearing, Torres, a Democrat, only said "I'm sorry" to reporters outside the courtroom. He'll be back in court on Monday, when a judge is expected to ensure his removal from office. Councilwoman Ruby Cotton is expected to take over as acting mayor following Torres' removal. Videos and overtime records show the workers doing construction at the site while on the clock for the city. They also show workers at the mayor's home but criminal charges to date are only for overtime billed at the beer business location.